Check that your web site uses the latest secure versions of TLS and doesn't have insecure SSL protocols enabled. No special access is required to check your web server within seconds. It also works with sites on your local network. 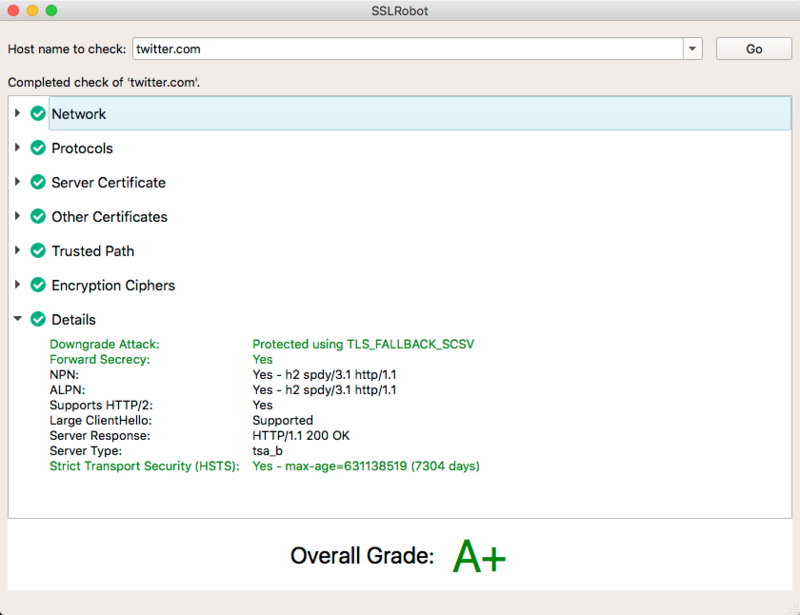 An overall grading from A - F is assigned to each site tested to provide an overall rating of the TLS/SSL configuration. View in depth information and warnings about encryption ciphers, keys, certificates and more on your web site. Checks whether HTTP/2 has been enabled on your web server to provide improved performance with modern browsers.